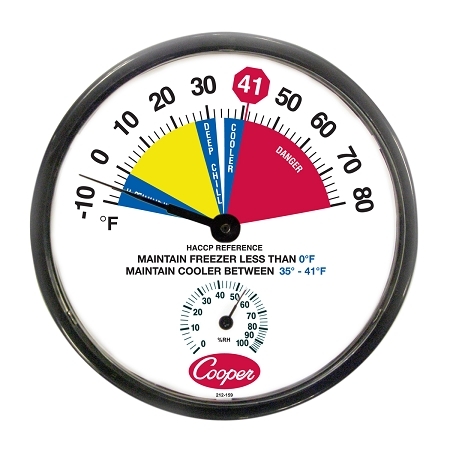 The 212-159 Cooler/Freezer thermometer is brightly colored and features a 12"(30.5cm) diameter. It has a HACCP reference color-zoned dial and a large black pointer for ease in viewing. This oversized wall thermometers allow easy monitoring of temperatures in critical food-related locations.